1. Promotion is valid between 10 February - 27 February 2018! 2. 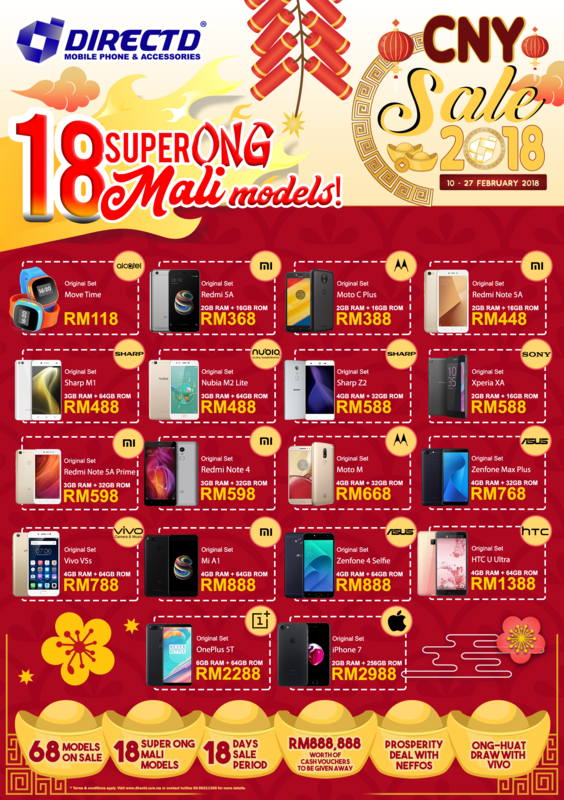 However, 68 models on sale will remain until 10 March 2018, only at DirectD Digital Mall @Kajang in conjunction with its new opening. 5. For online purchase, full payment must be made before 11.59PM 27 February 2018 to enjoy item at special price. Any order with payment made after the timeline will be cancelled. 6. 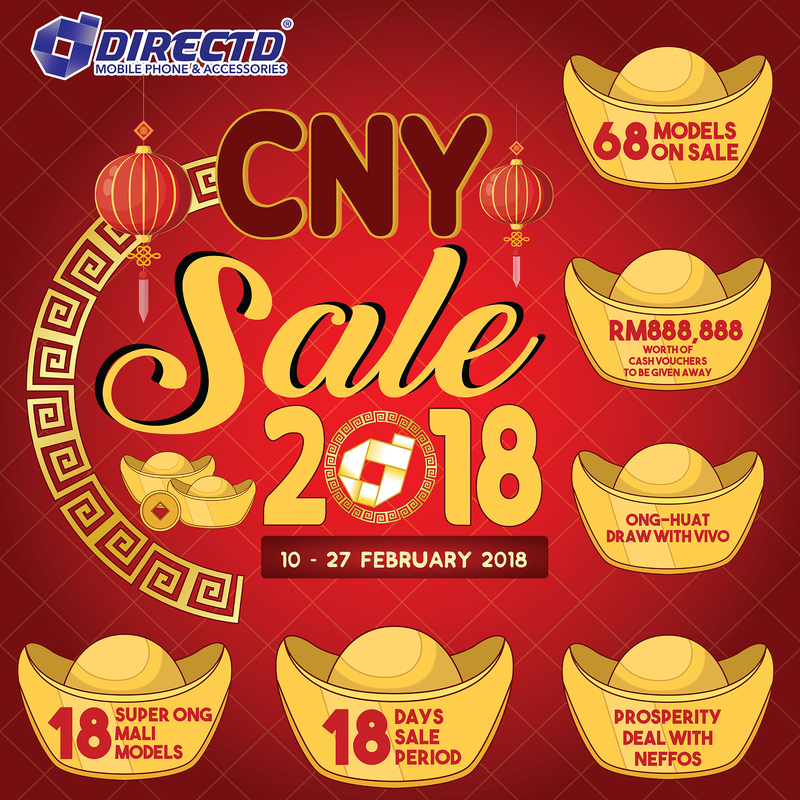 All models in this CNY Sale are not entitle for normal free gifts that are given during normal period. Lenovo Tab 7 (TB-7504X) LTE, SUPPORT VOICE CALL! ORIGINAL by Lenovo Malaysia - ANNIVERSARY SALE Extended to 26 APRIL! Nubia Z17S - Original by Nubia Malaysia! 5.73" Full HD+ Display | 8GB RAM | 128GB ROM | Dual 23MP + 12MP rear camera | Dual 5MP + 5MP front camera!